Give your kids the eternal values and virtues that would help them to lead a life with honesty and doing good deeds! Bring them along on a Religious Tour! 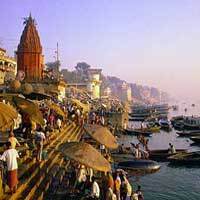 We are a Delhi based professionally managed company; take a holy expedition to India with us! There are many famous holy shrines in the country such as Bhadrakali Temple, Chilkur Balaji Temple, Kanaka Durga Temple, Ramappa Temple, Chhatarpur Temple etc. We also organize Vasihno devi trips, Amarnath yatras, South India temple tours and hajj tours. Even if you want to visit the various monasteries and sacred places where Lord Buddha preached, we can provide a spiritually enlightening tour. We also provide heedfully planned tours for old people.